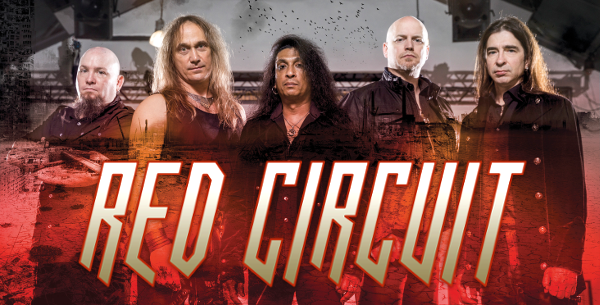 Finest German Power Prog Metal band RED CIRCUIT will release their 3rd studio album "Haze Of Nemesis" (CD+DVD) through Limb Music on October 24th. The band was formed in 2006, featuring members and guest musicians from renowned bands such as Vanden Plas, Adagio, Firewind and Elegy. 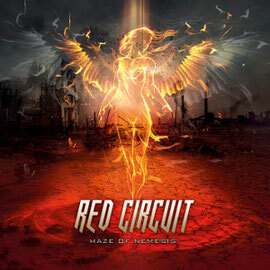 RED CIRCUIT has released so far 2 albums: "Trance State" (2006) and "Homeland" (2009). The finely balanced mixture of technically classy power metal, refined progressive rock and a cleverly inwoven mainstream attitude, which serve to make the songs so memorable, has been praised for years not only by the music press but also by an ever-growing hoard of fans. "Haze Of Nemesis" includes a bonus DVD of video recorded the Red Circuit's show at the 2011 Progpower Festival in Atlanta, USA, where the band drove the American fans wild with a great performance of their 'Prog Metal made in Germany'. In addition, the CD+DVD package includes the Deep Purple cover "Soldier Of Fortune" as a bonus track.